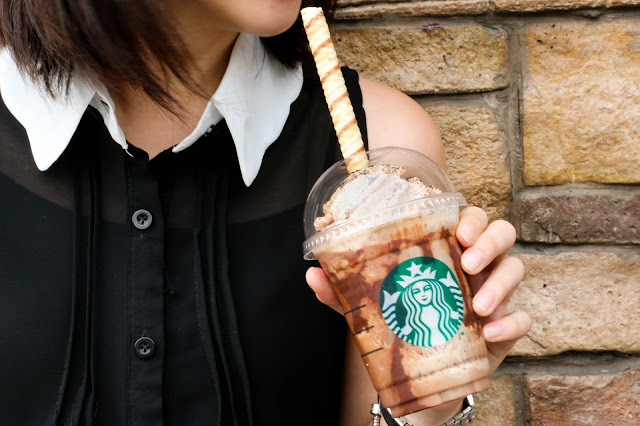 The Food Alphabet and More: Catch the limited edition Mocha Ribbon Chip Frappuccino with Cookie Straw from Starbucks!!!! - From July 4 to 10 only! Catch the limited edition Mocha Ribbon Chip Frappuccino with Cookie Straw from Starbucks!!!! - From July 4 to 10 only! And just like that, we've come to the 2nd half of 2016! Let's welcome July with sweeter dreams in the newest Starbucks blended beverage with a new twist! 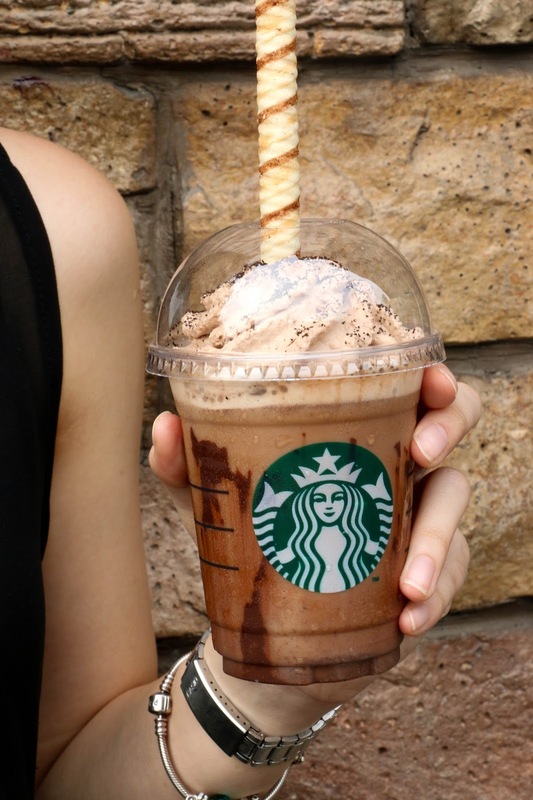 The Starbucks Mocha Ribbon Chip Frappuccino blended beverage with a Cookie Straw! 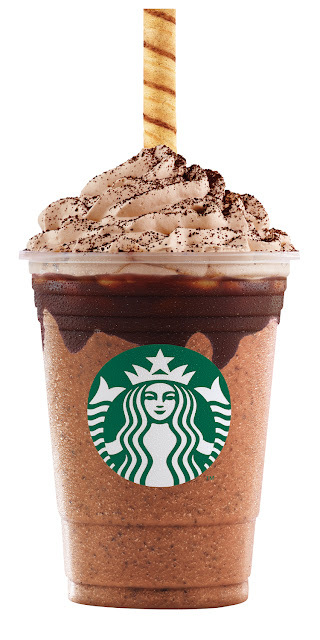 A sweet and chocolatey Frappuccino treat, the Starbucks Mocha Ribbon Chip Frappuccino with Cookie Straw, made from Starbucks signature Coffee Frappuccino, made more exciting with java chips for chocolatey crunch with every sip. Then we line the cup with Mocha sauce before pouring the Coffee Frappuccino for a sweet and balancing flavor, the to top it off with Chocolate whipped cream, aromatic Turkish coffee grind and a cookie straw! Yup you read that right! A Cookie Straw! Sip it then munch it, the cookie straw is a rolled sweet wafer biscuit lined with rich chocolate ganache, giving it a light and crispy, slightly toasted sweet wafer and chocolate flavor. This flavorful treat is available only from July 4 - 10, 2016 at all Starbucks stores everywhere! Available in Tall - P185, Grande - P195, and Venti - P205. Get the Frappuccino Cookie Straw sold separately available starting July 11. See you at a Starbucks store this July and let's enjoy this limited edition chocolatey treat from Starbucks!